Our children are the future of our community. We need to do all we can to set them up for success and that begins with success in school. Studies show that kids who are well prepared when they enter kindergarten are more likely to stay in school. Those who finish high school are more likely to be employed. dollars a week ($104) will provide one hour of occupational, speech, or physical therapy to a child in need. dollars a week ($260) will provide program supplies in an underserved area – low income for one week of spring break activities for 33 girls. dollars a week ($520) will provide a child from an economically-disadvantaged background or in foster care, the chance to grow and succeed through a week of summer camp. At United Way of Warren County, we are committed to helping our children and youth achieve their full potential through partnerships and programs that provide opportunities and activities to develop desirable social, emotional, and intellectual tools to attain academic success. We provide early childhood education centers to prepare children for kindergarten. We provide trained and caring mentors to young people who will give them emotional support and guidance that enhances self-esteem and self-control. We provide training for youths in citizenship, responsibility, character education and self-reliance preparing them to be responsible citizens and able to make healthy life choices. All too often, when it comes to academia, children experience a bit of backsliding over the summertime simply due to a lack of exposure. United Way of Warren County is addressing this issue through our “Stop Summer Slide,” which is part of our School Readiness Initiative. 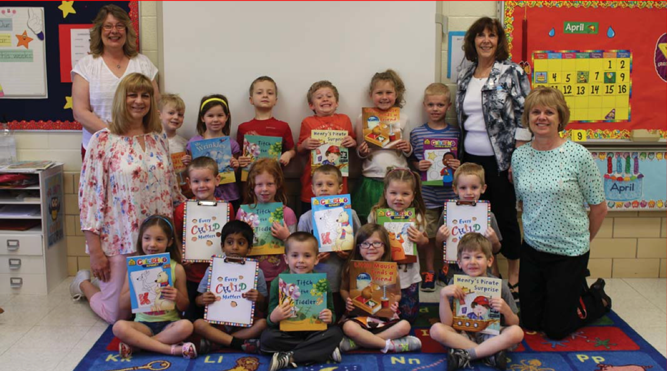 This project provides 20% of the recommended age-appropriate books a child should read over the summer. We have been doing this for every single child enrolled in a Warren County public school district preschool for four years and have touched the minds of nearly 5,000 kids. We are able to do this because of community support for our annual campaign and from partners like the Duke Energy Foundation and the Warren County Foundation.